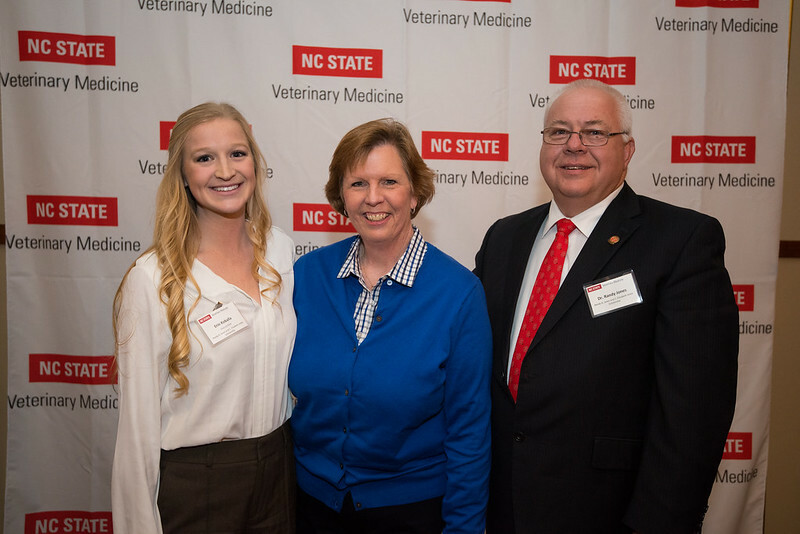 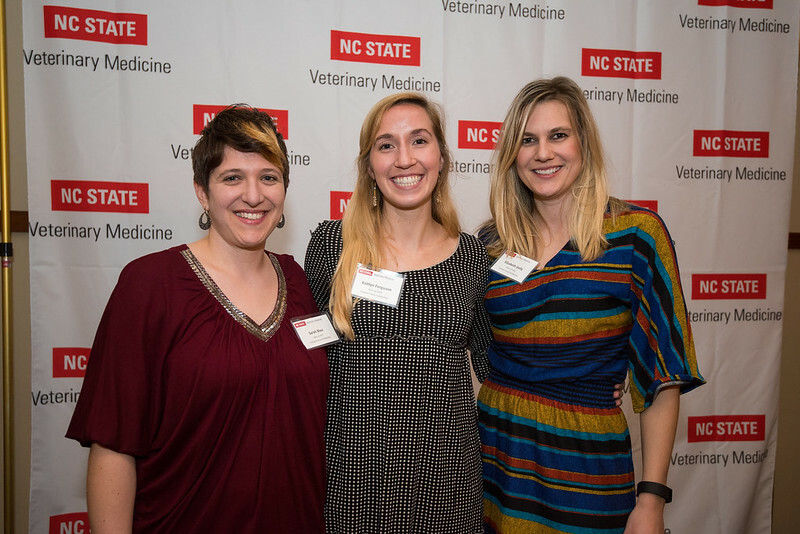 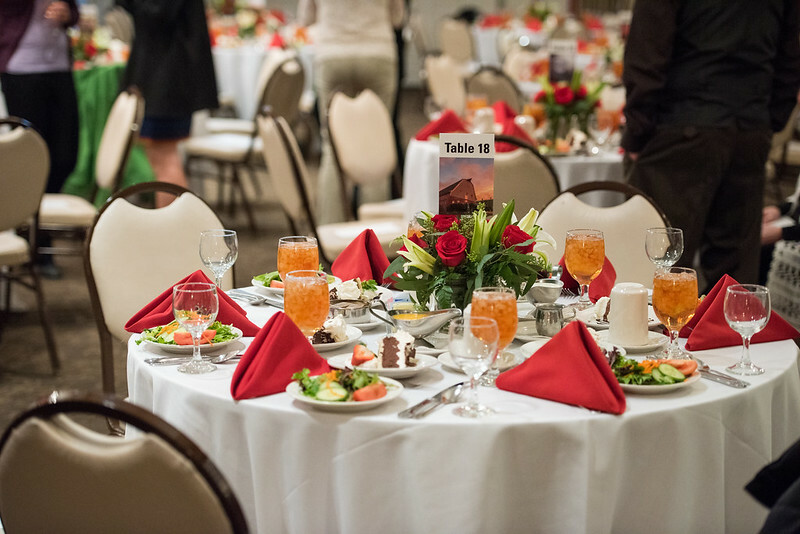 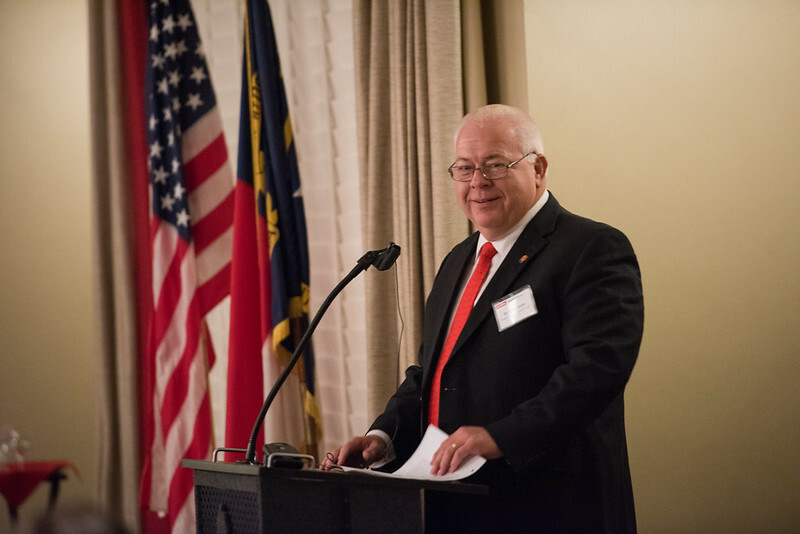 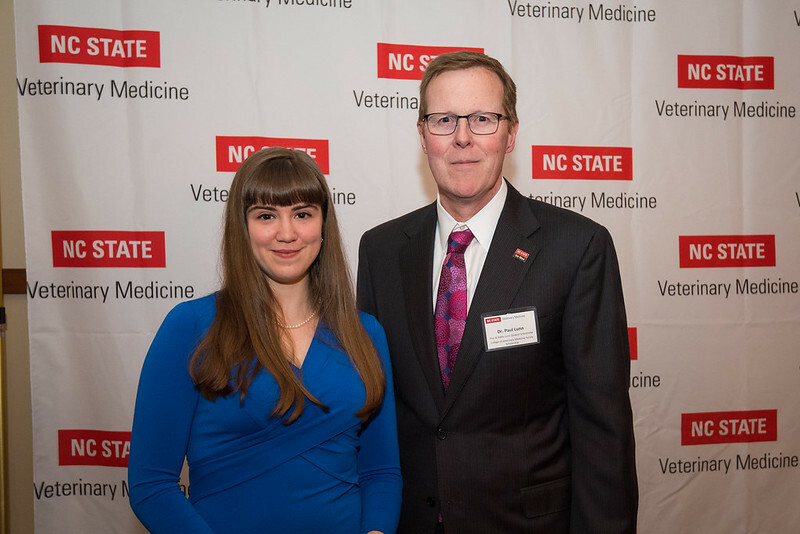 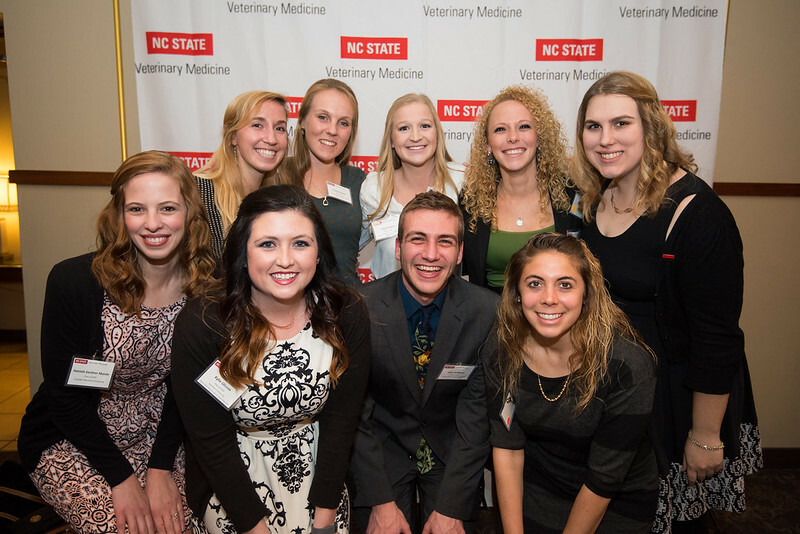 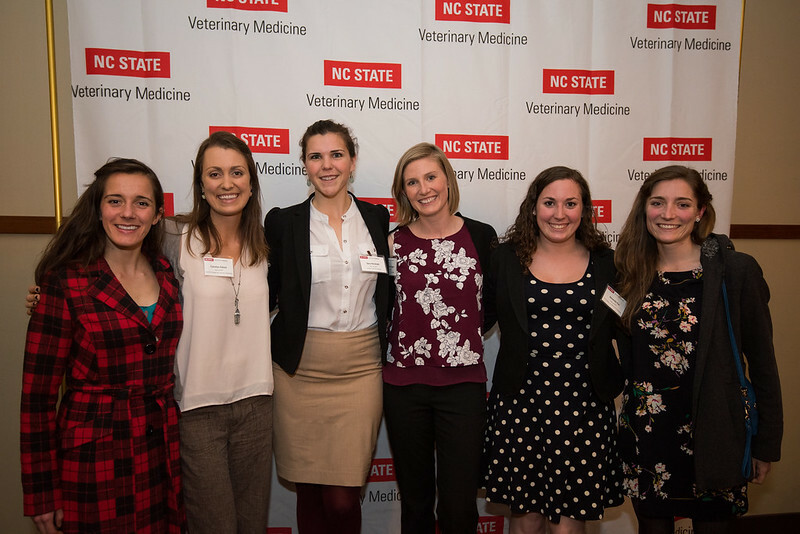 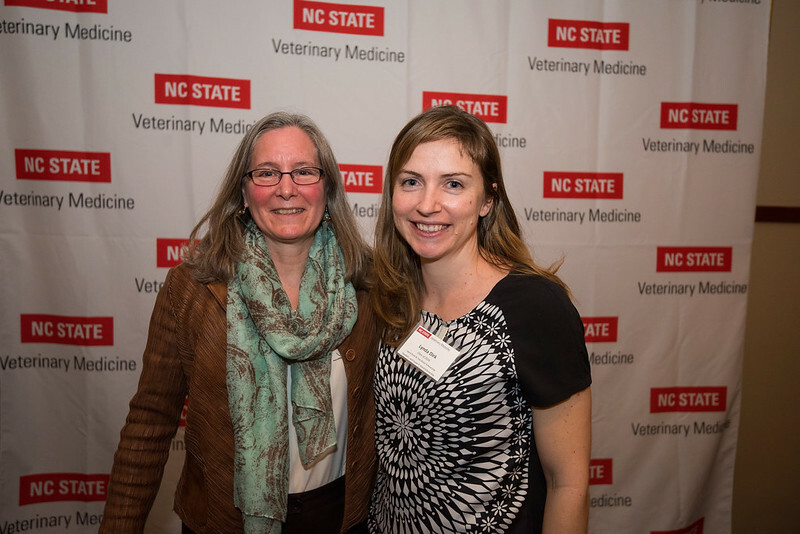 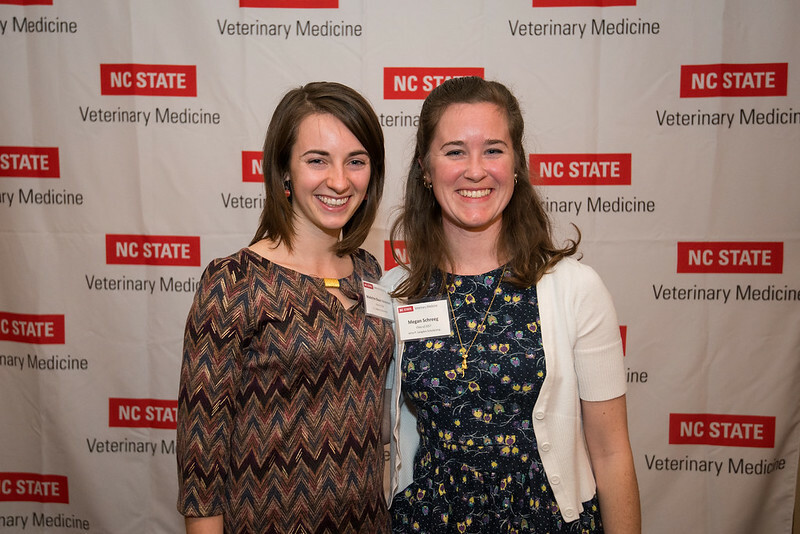 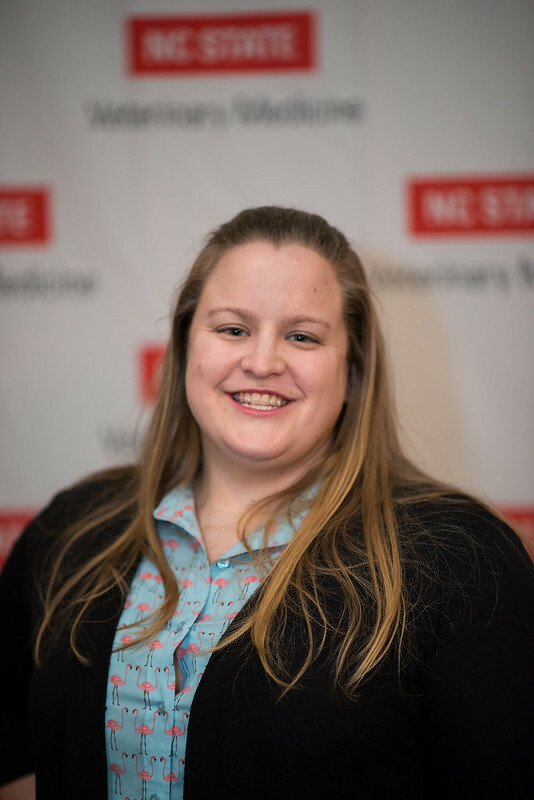 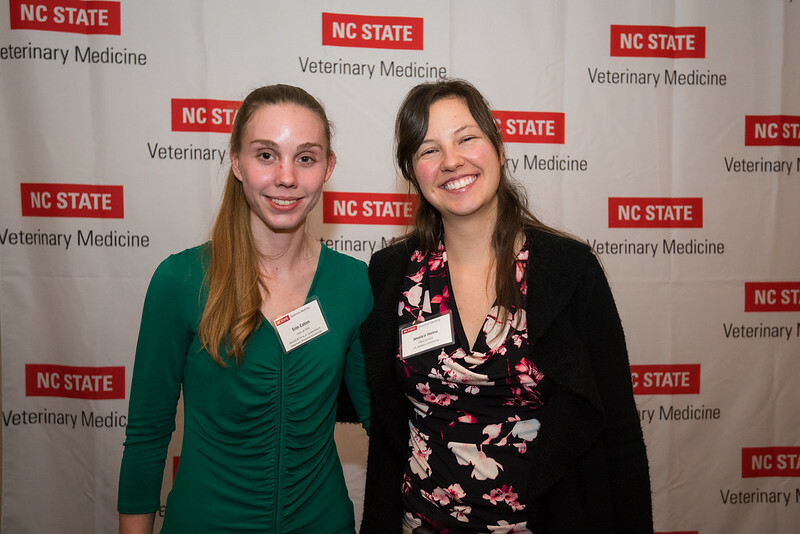 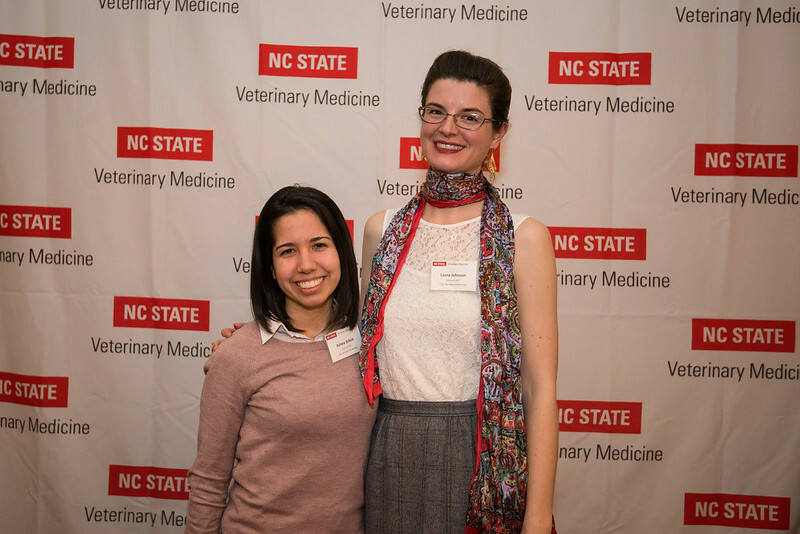 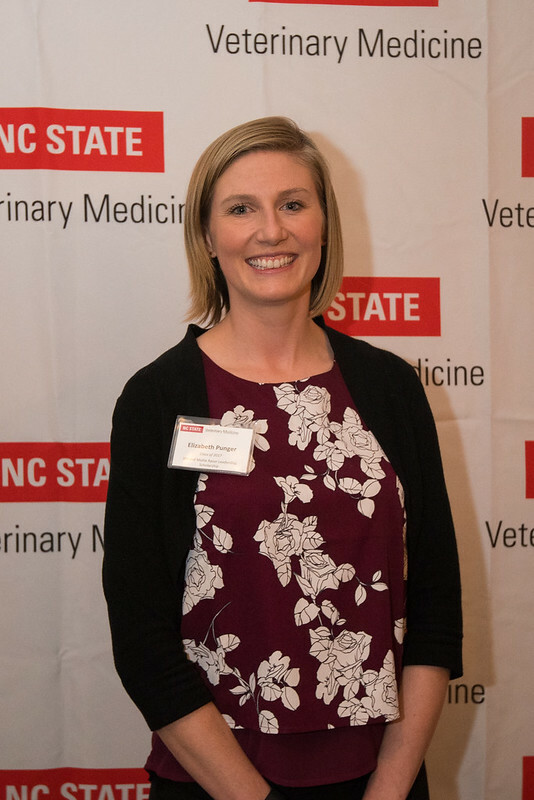 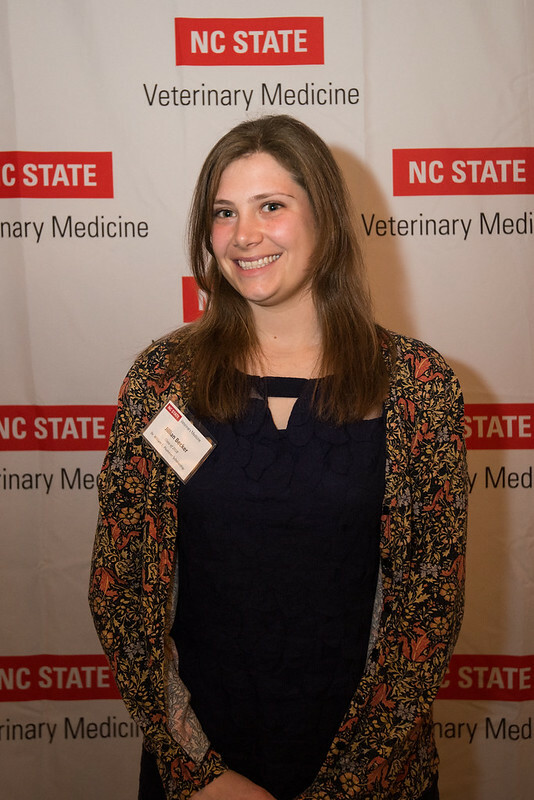 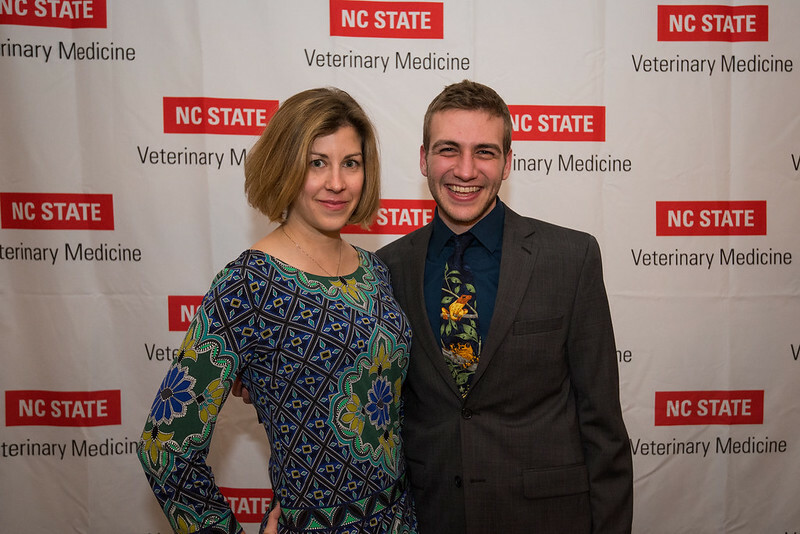 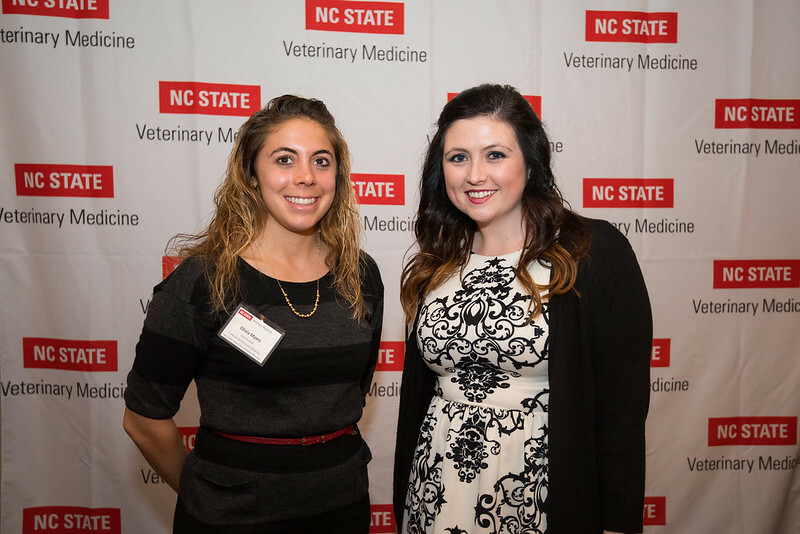 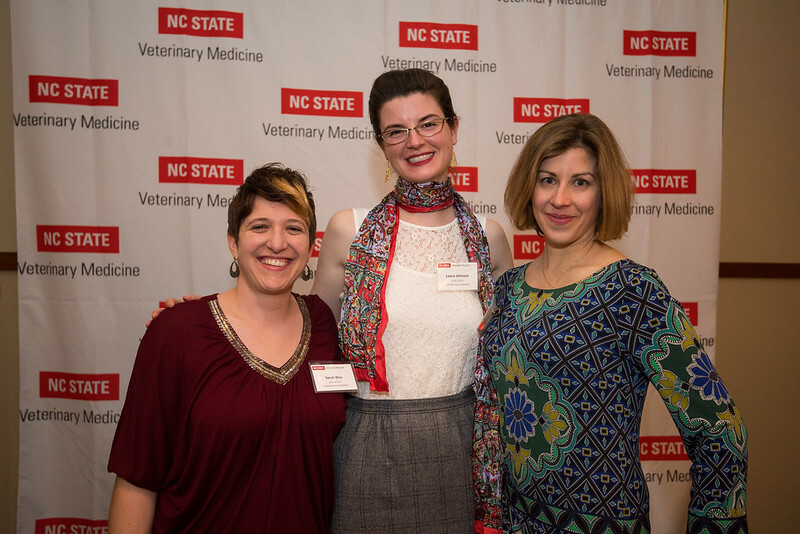 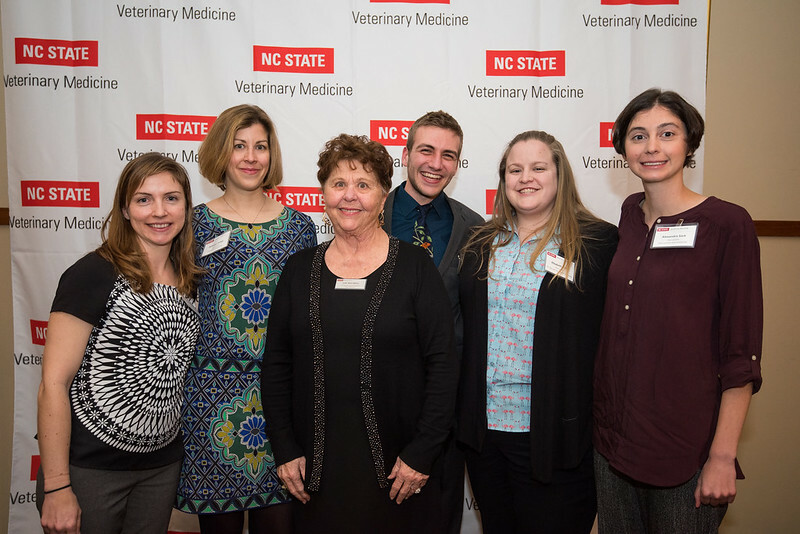 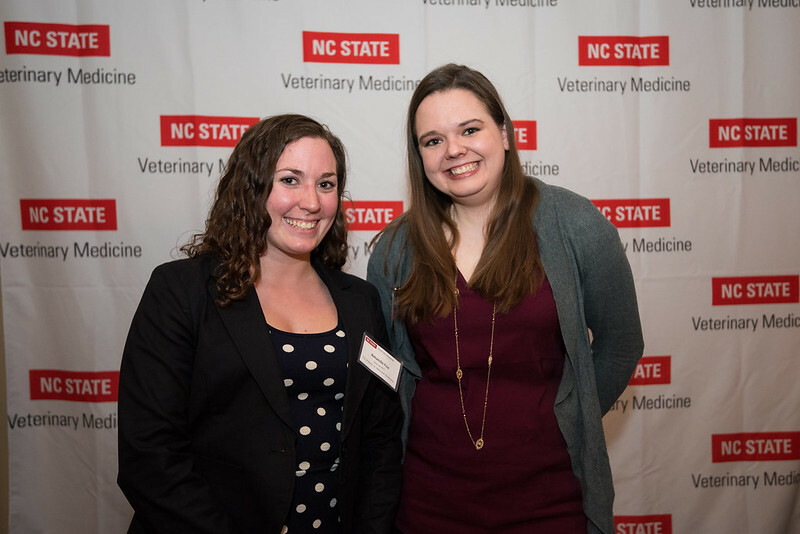 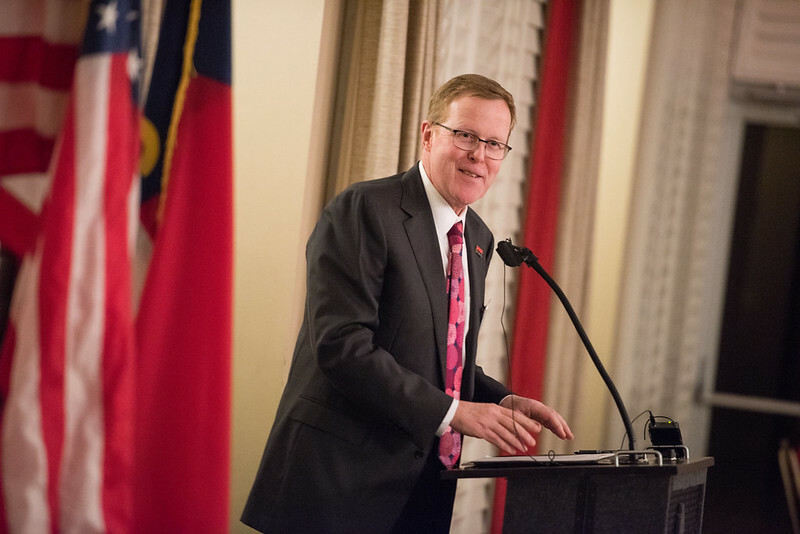 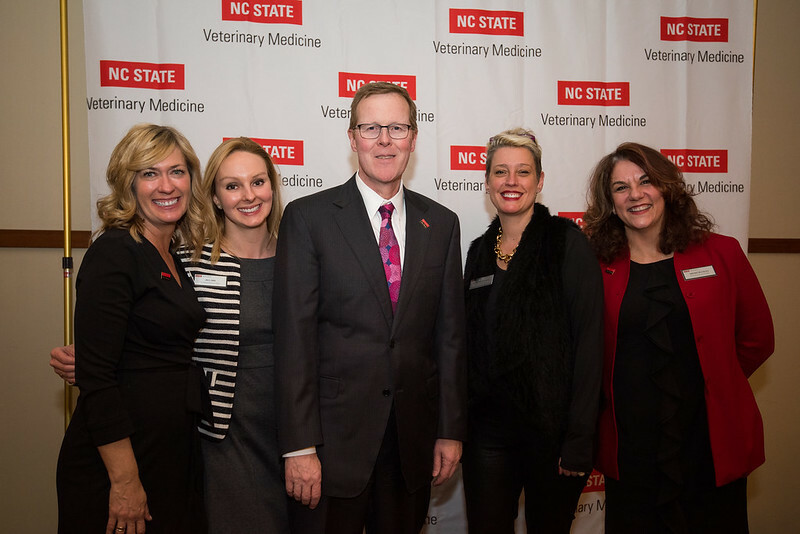 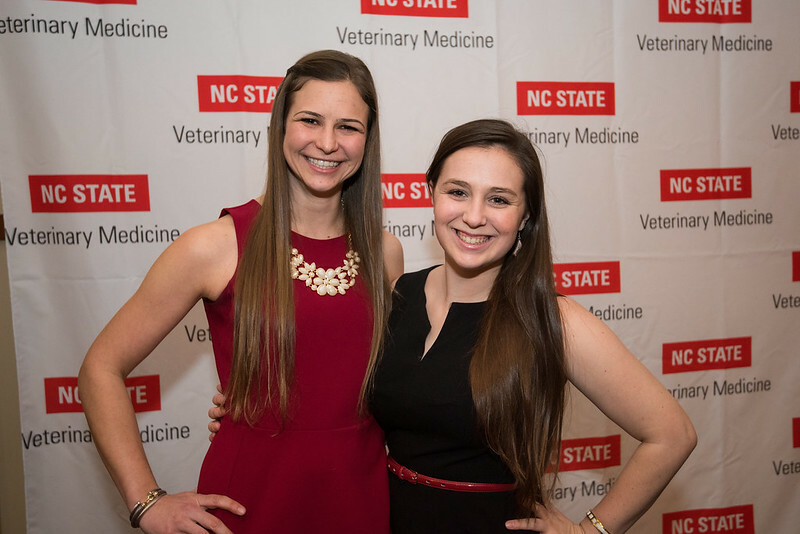 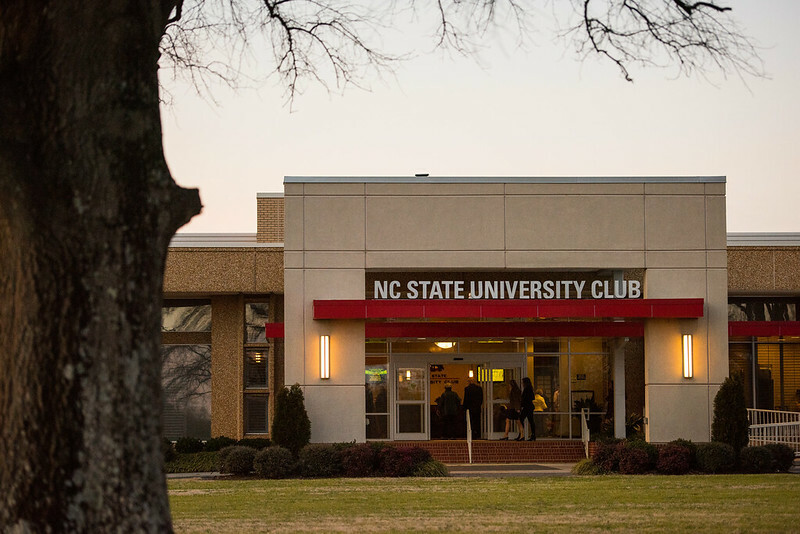 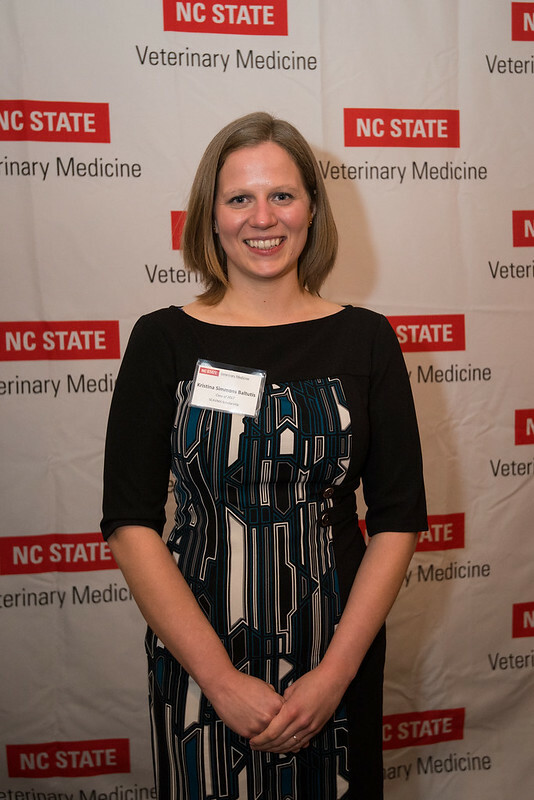 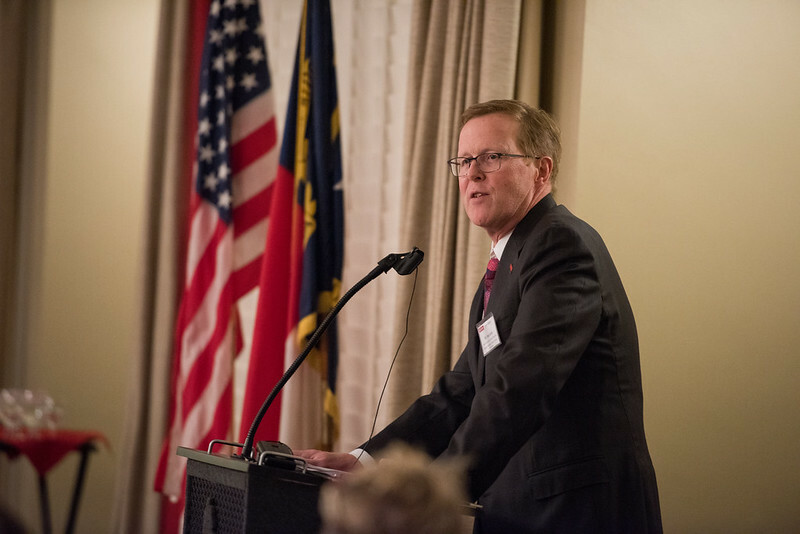 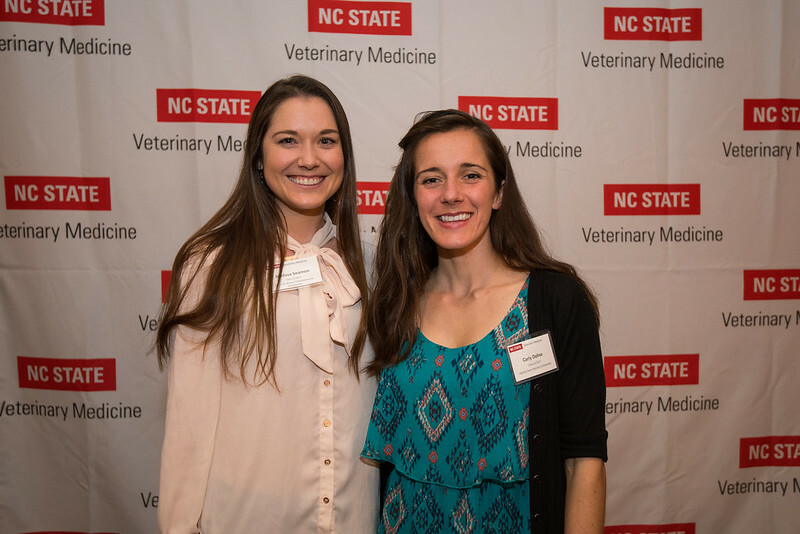 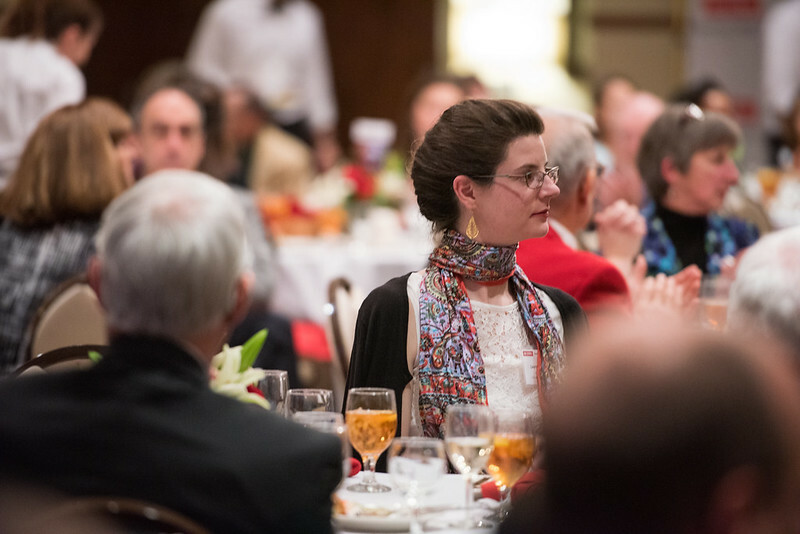 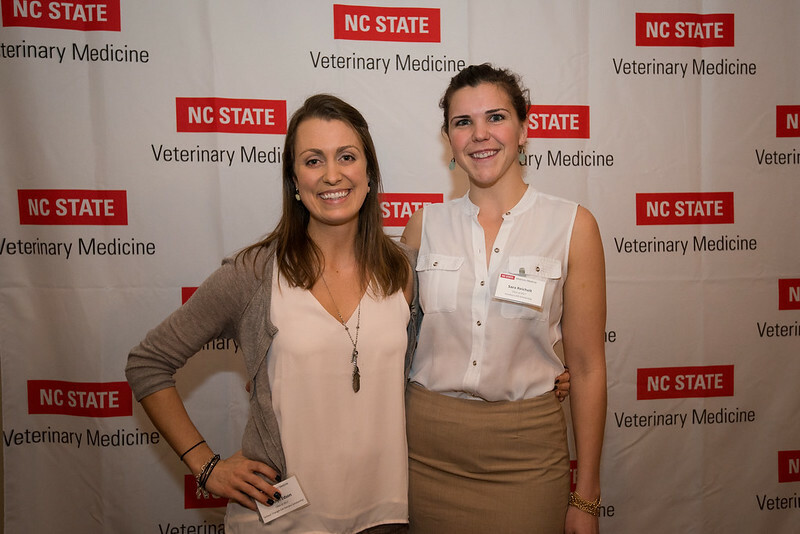 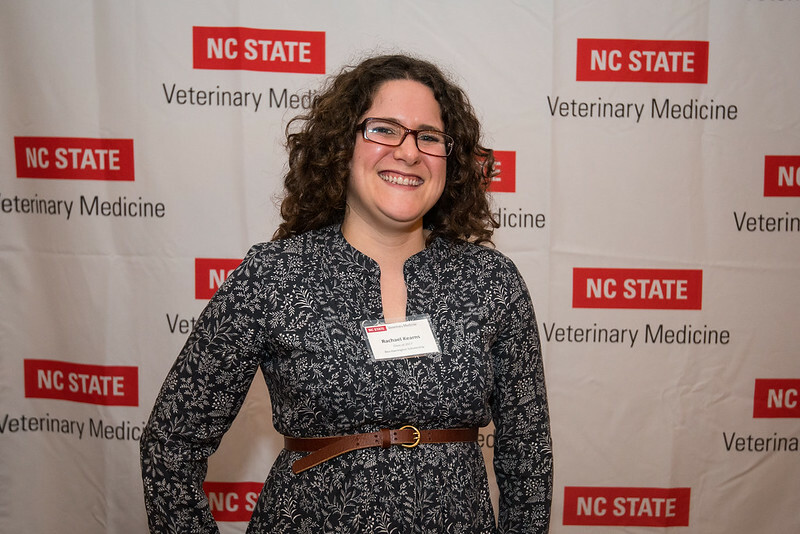 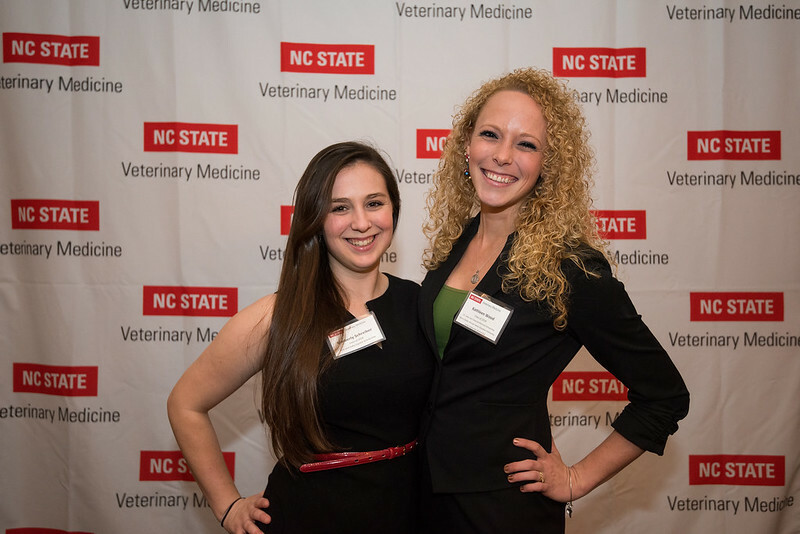 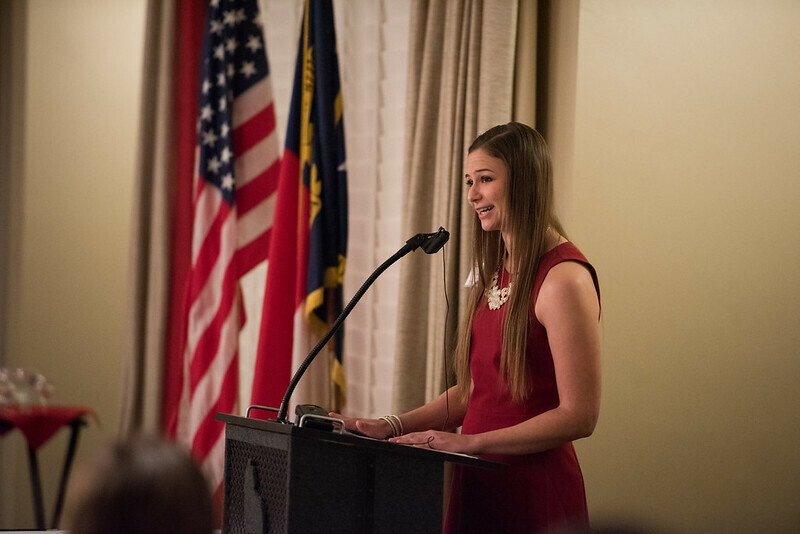 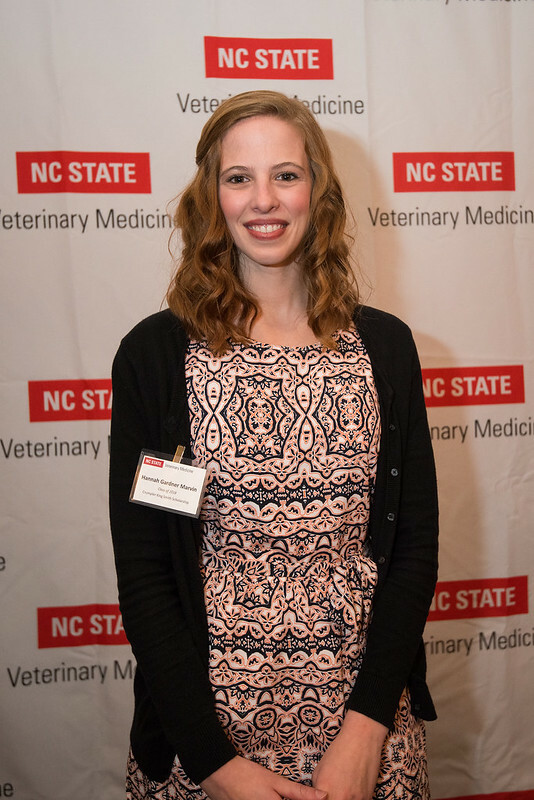 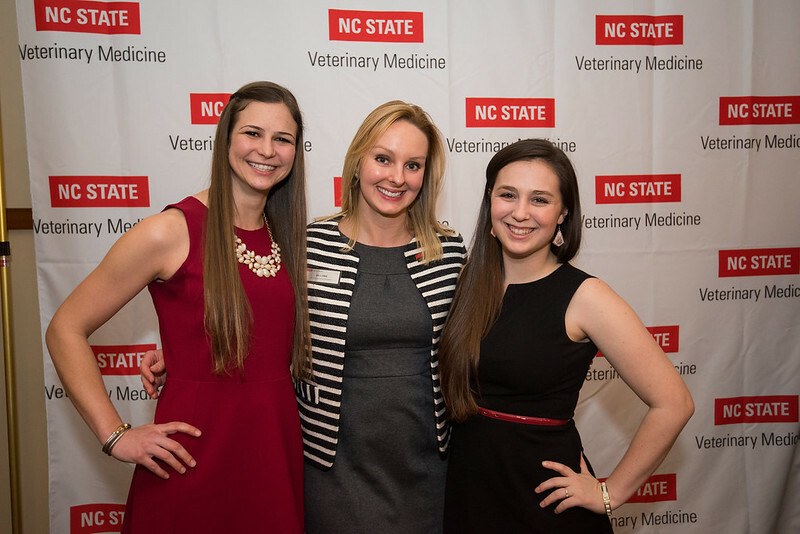 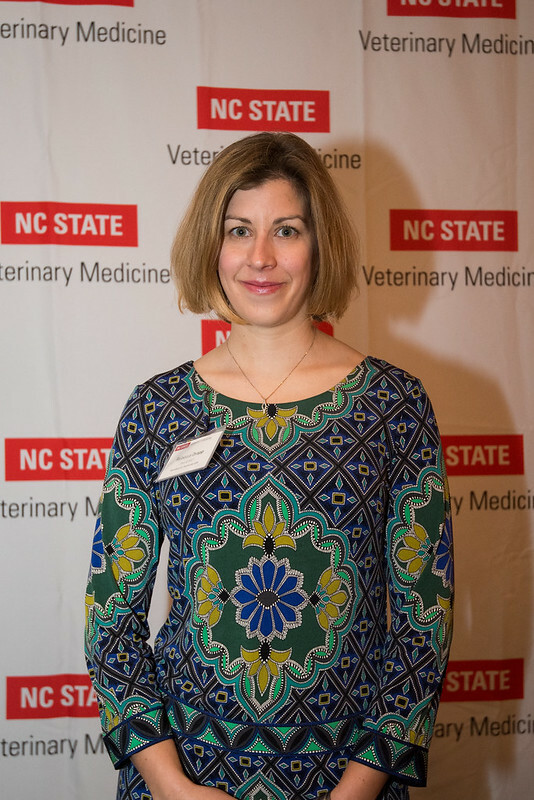 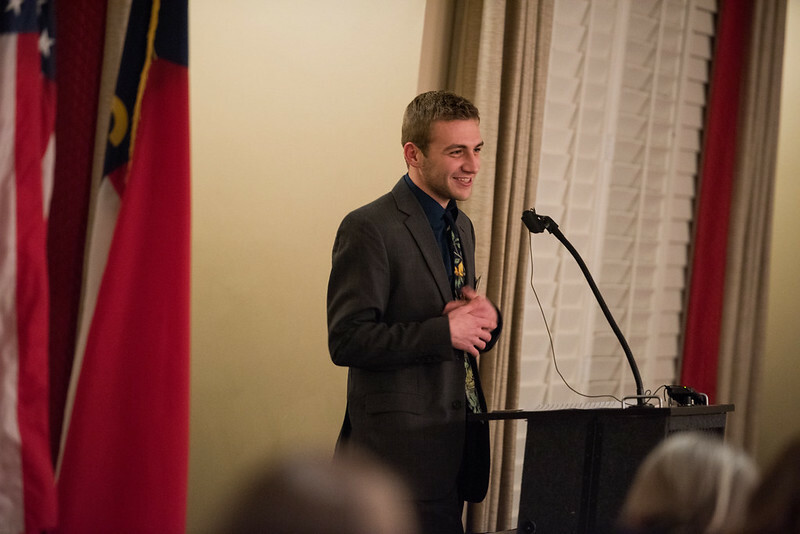 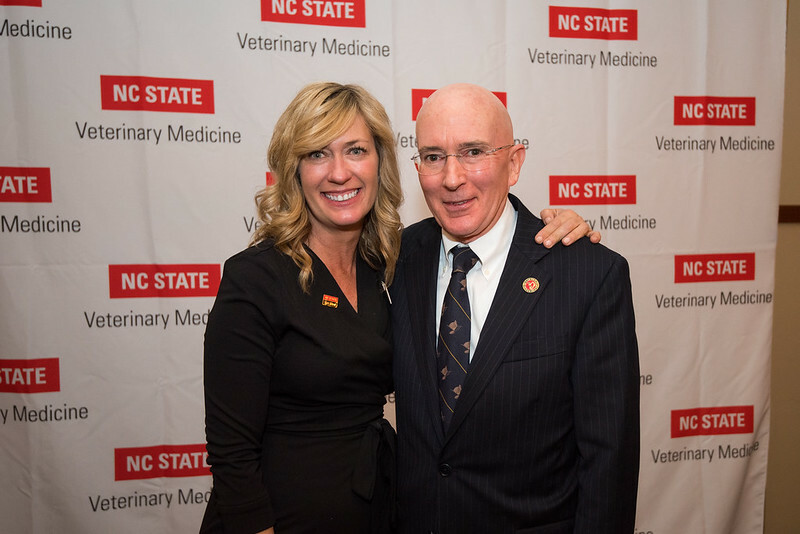 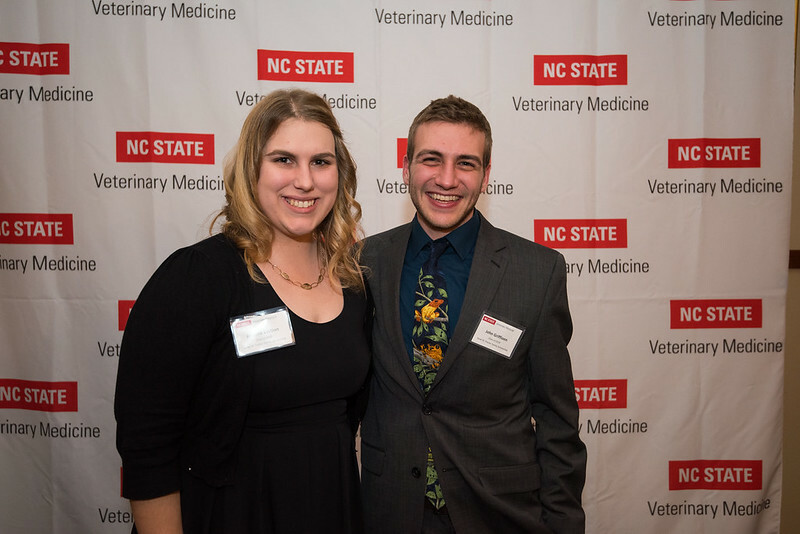 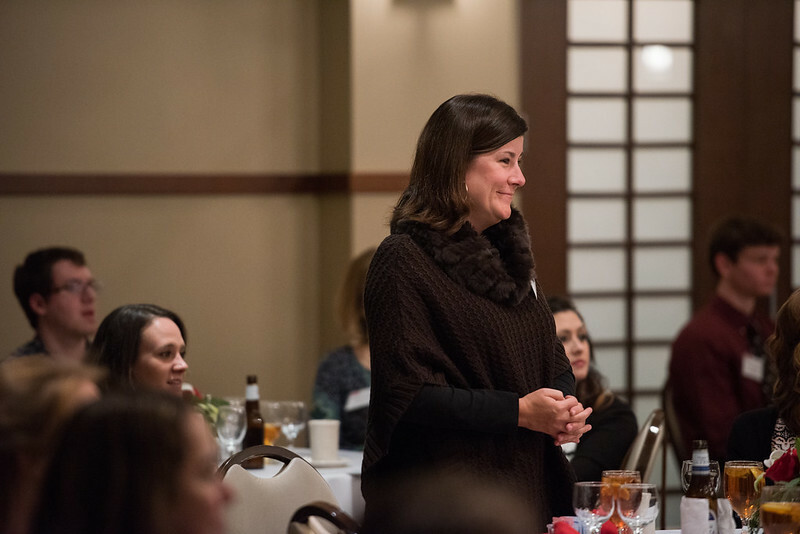 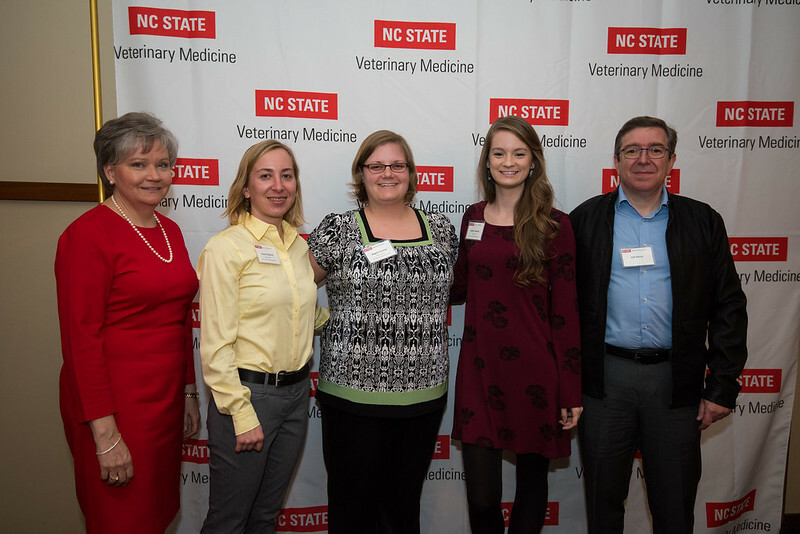 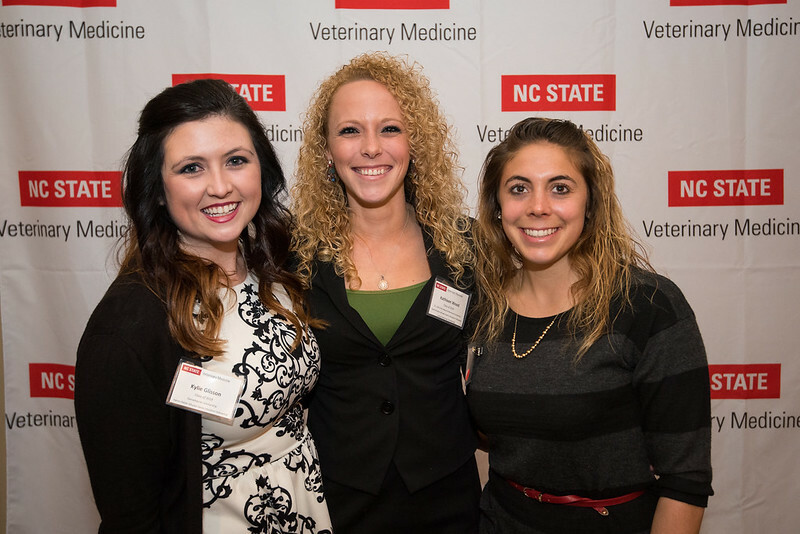 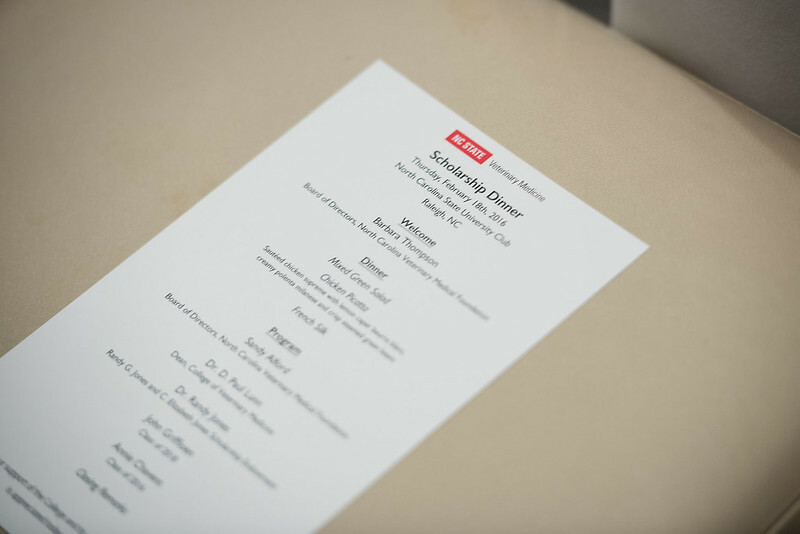 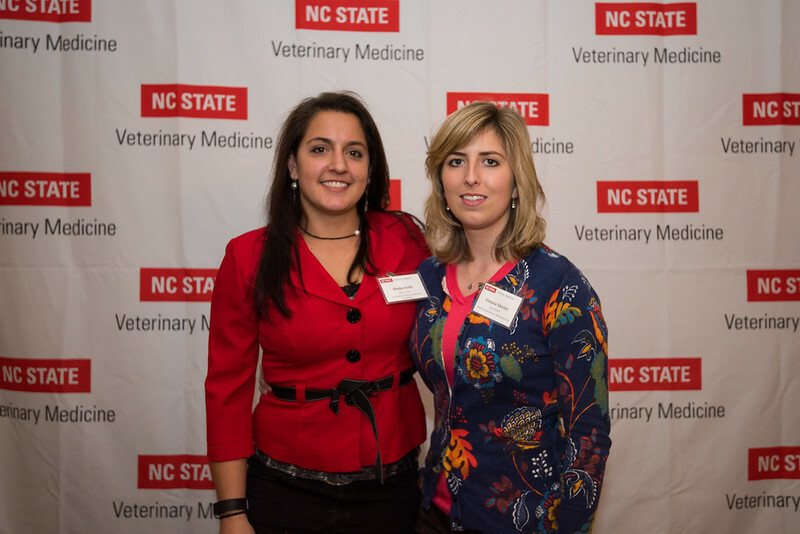 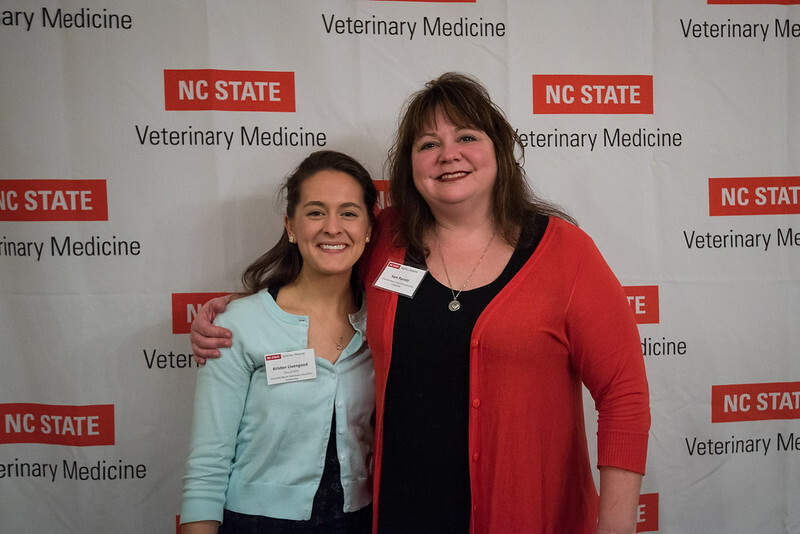 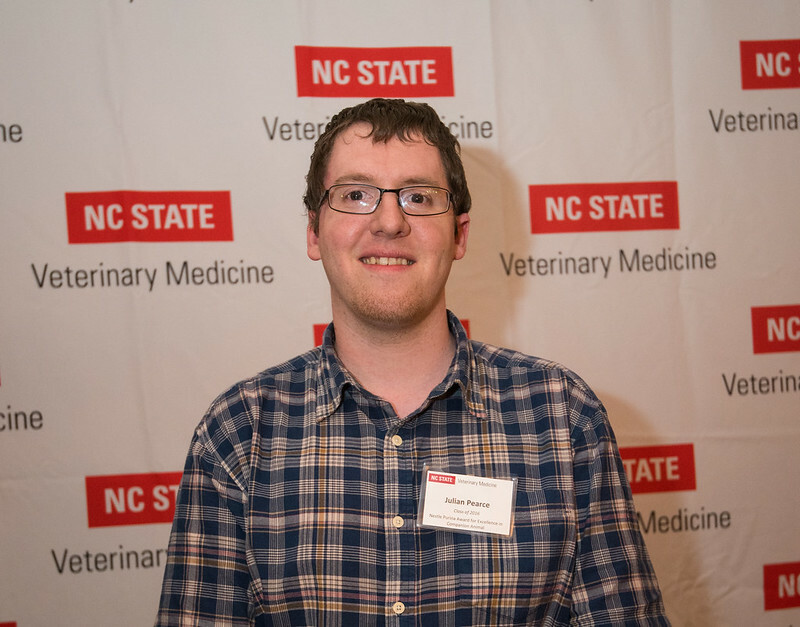 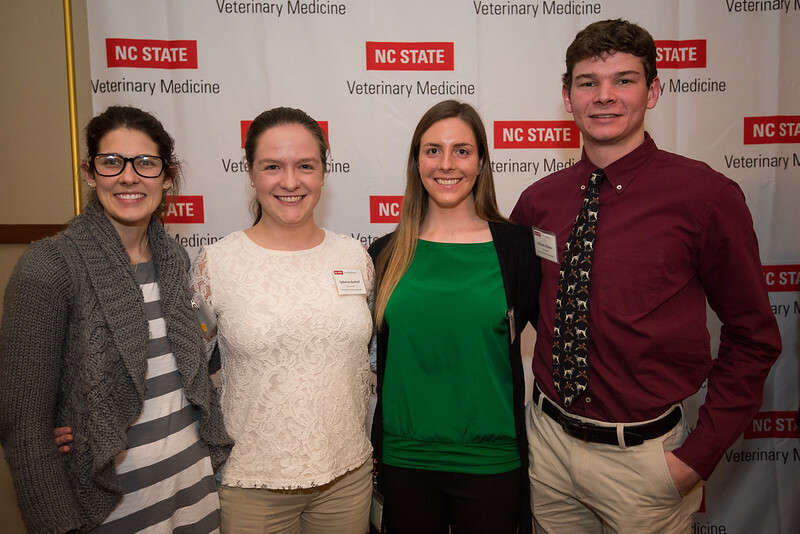 On February 18, the North Carolina Veterinary Medical Foundation (NCVMF) hosted the College of Veterinary Medicine’s Scholarship Dinner at the University Club. 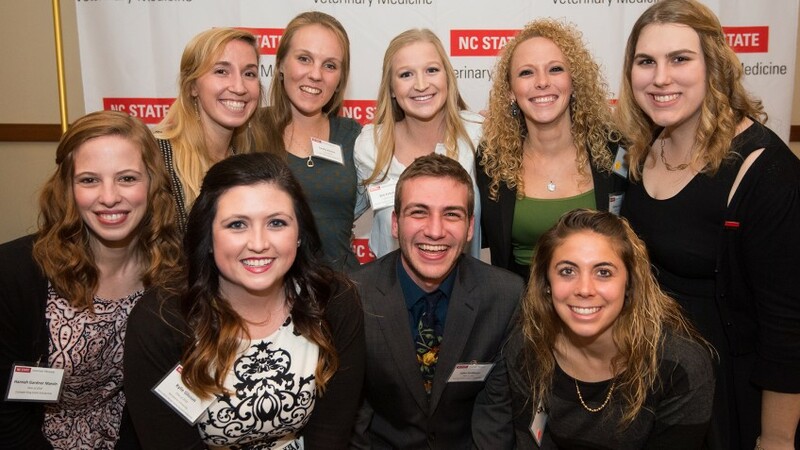 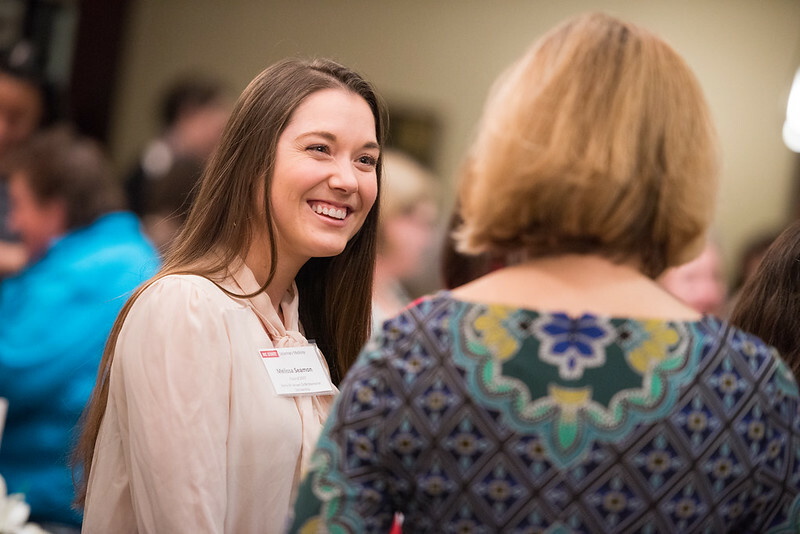 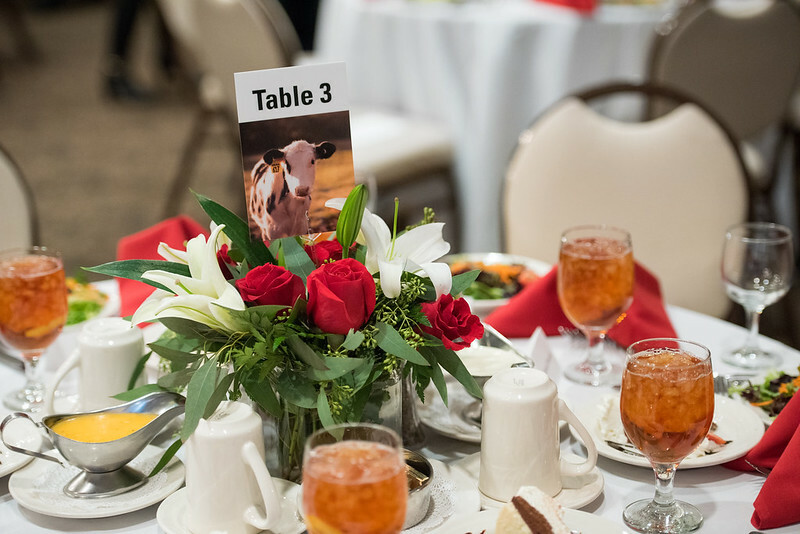 The annual event, which was reinstated in 2014, connects veterinary students who receive privately-supported scholarships with the community members who make these scholarships possible. 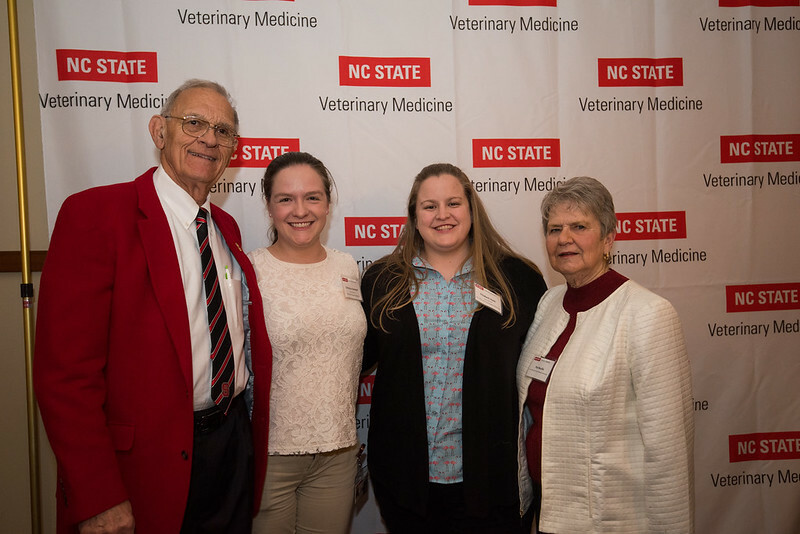 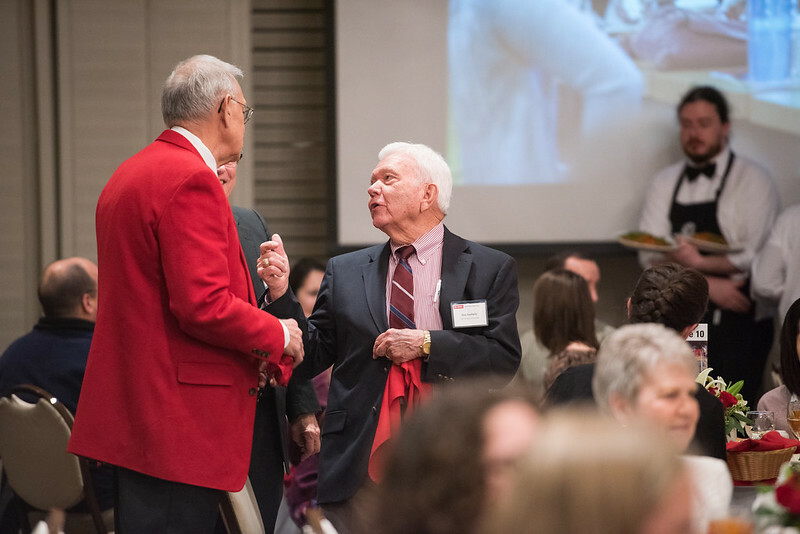 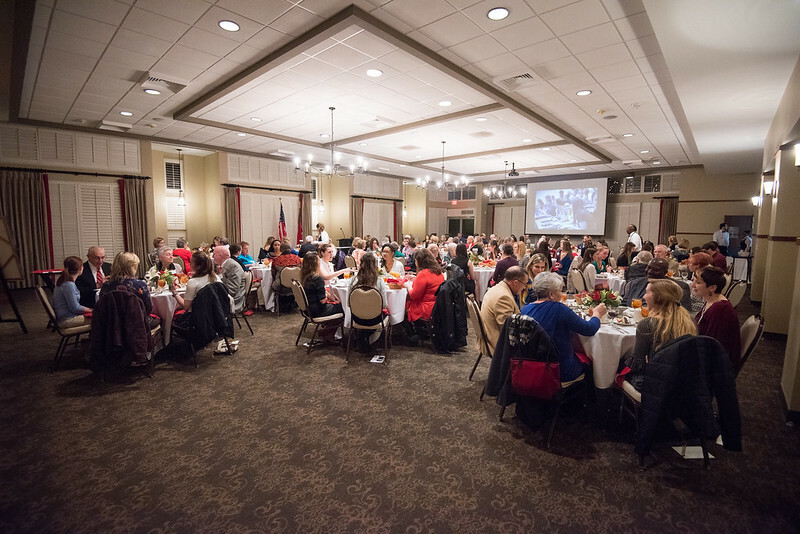 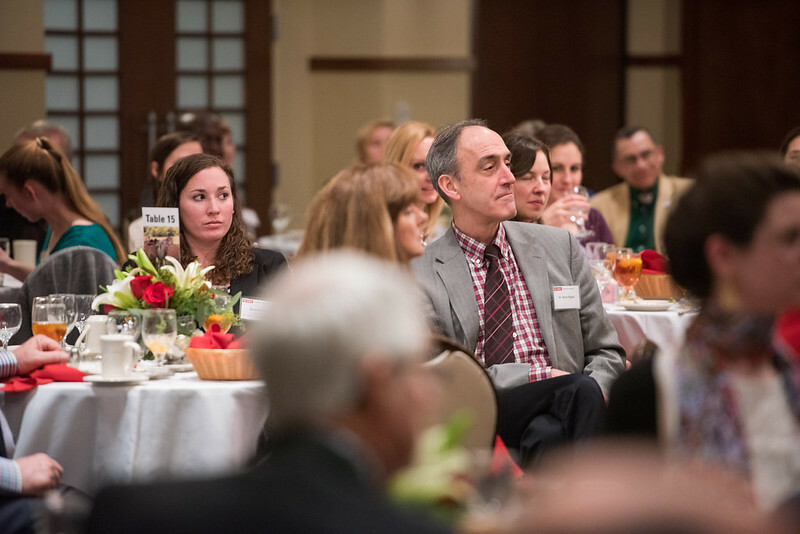 Approximately 120 people attended Thursday’s event including donors, students, Foundation board members and CVM faculty and staff. 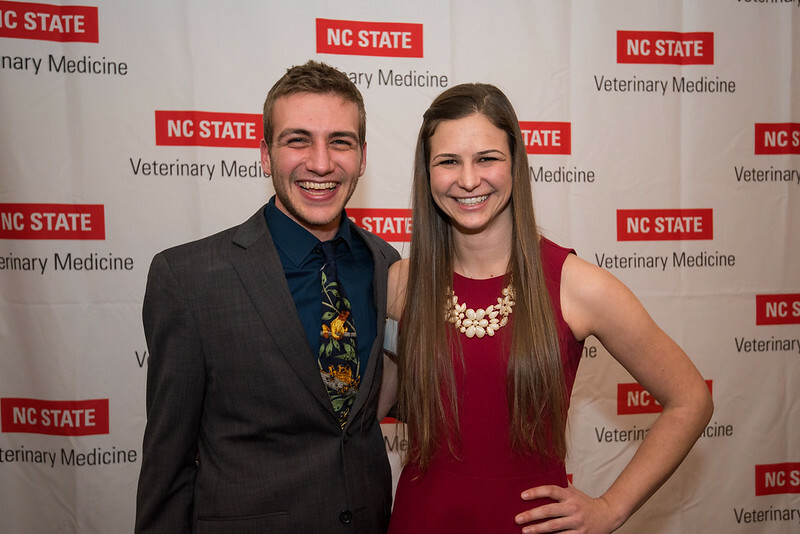 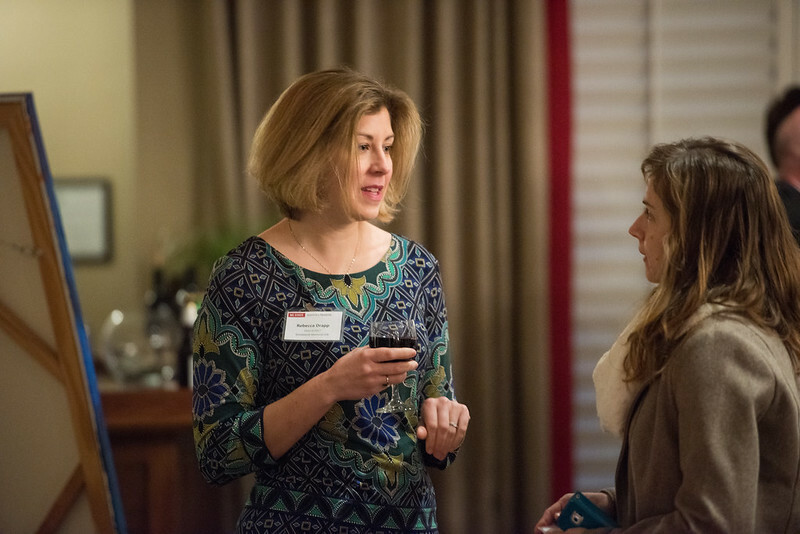 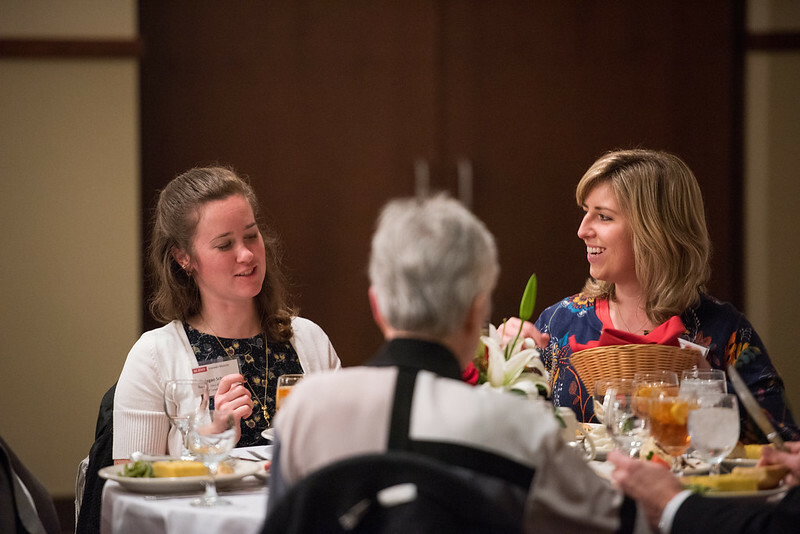 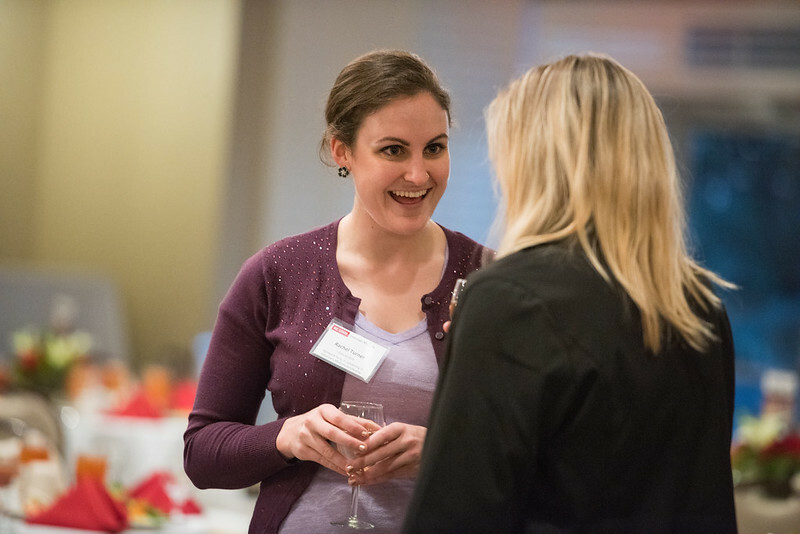 In addition to informal conversation over good food, guests enjoyed hearing the personal stories of how scholarships affect the lives of two current veterinary students – John Griffioen (Class of 2018) and Annie Chavent (Class of 2016). 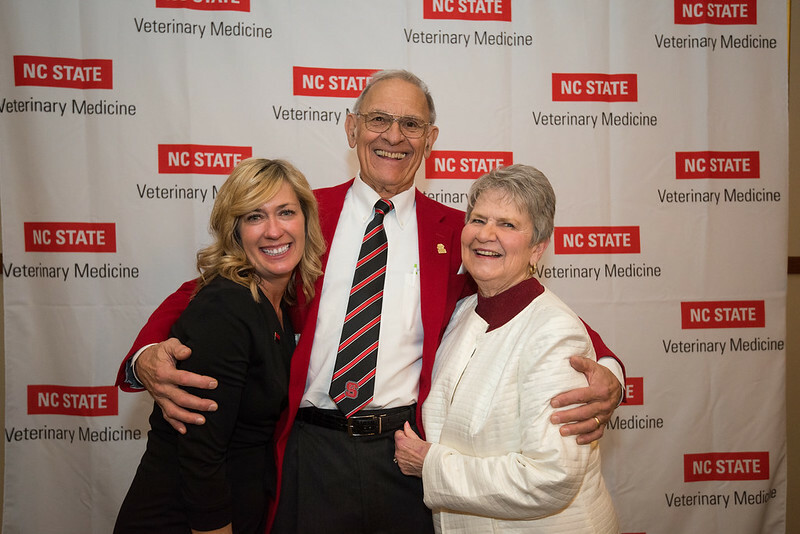 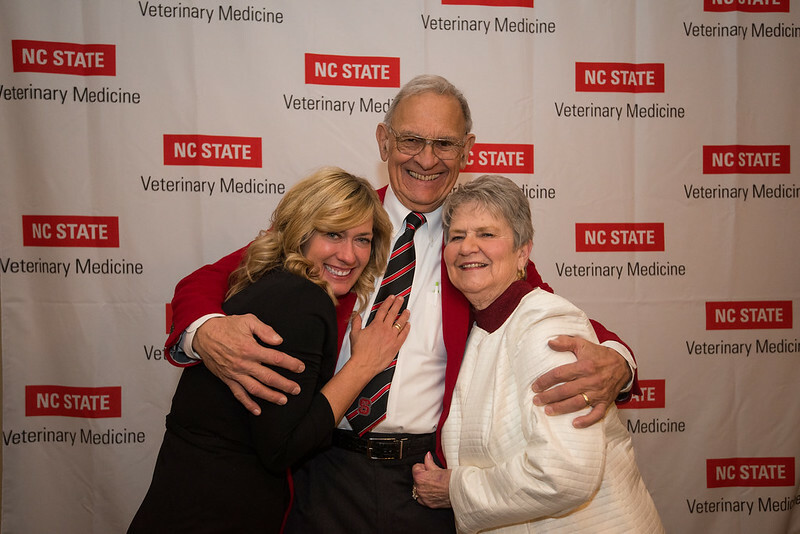 Class of 1985 DVM alumnus Dr. Randy Jones shared why he and his wife, Beth, have chosen to give back through the creation of an endowed scholarship at the CVM. 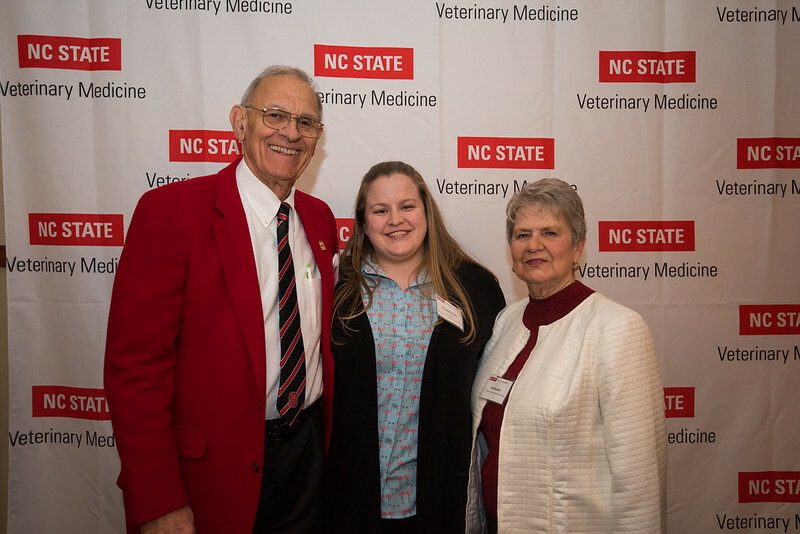 CVM Dean Dr. Paul Lunn announced an exceptional gift from a Charlotte couple that will transform the college’s scholarship funding, thanks to matching funds from the R.B. 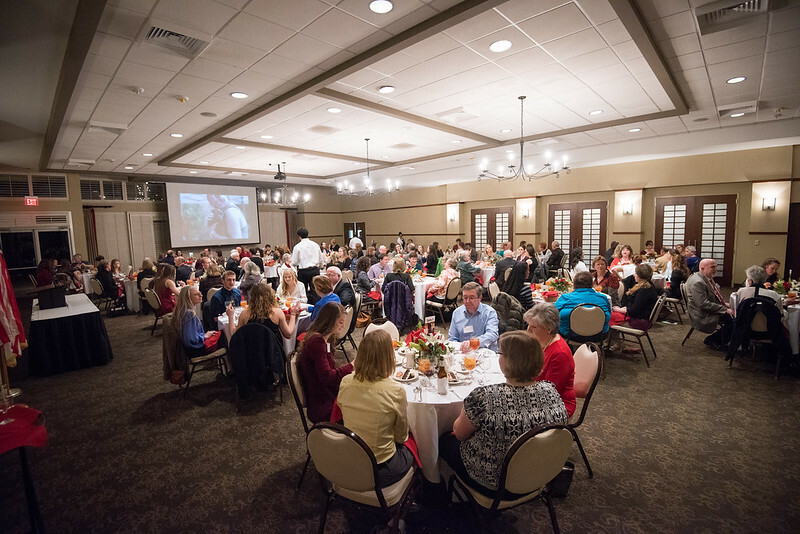 Terry Charitable Foundation. 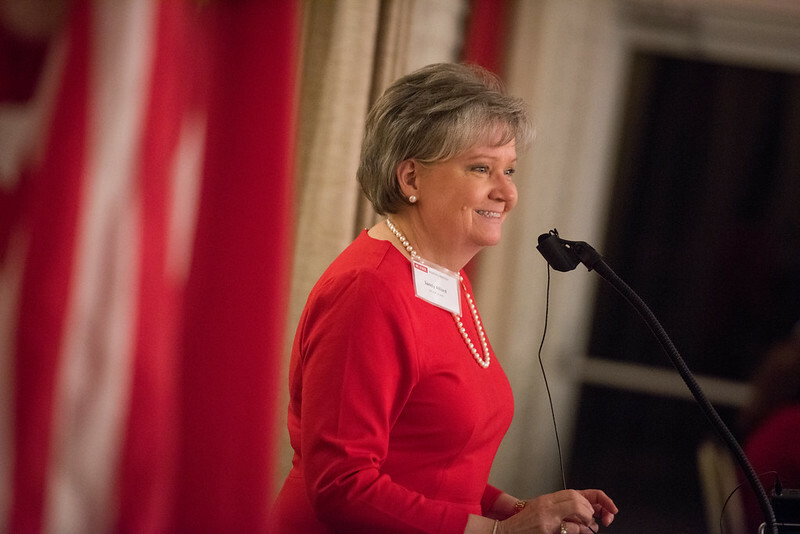 In addition, NCVMF board members Barbara Thompson and Sandy Alford helped emcee the evening. 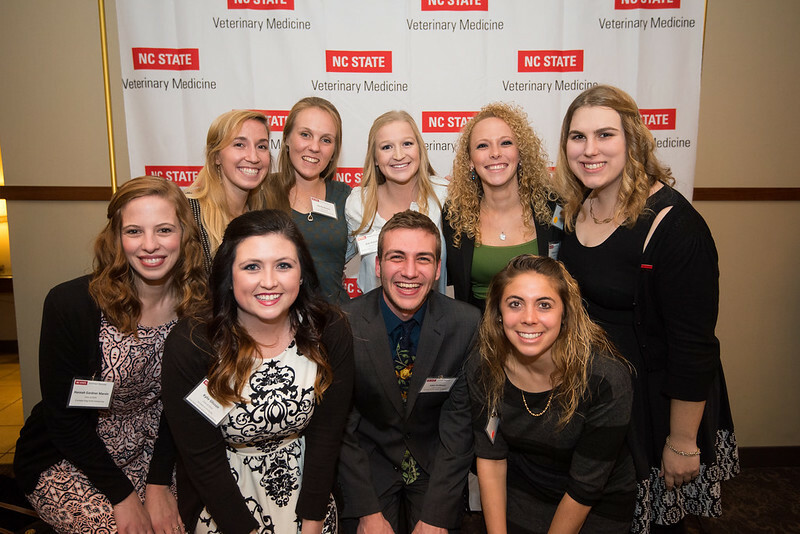 In the 2014-15 academic year, nearly $575,000 in scholarships were awarded to DVM students, with almost 60% of the funds coming from philanthropic gifts. 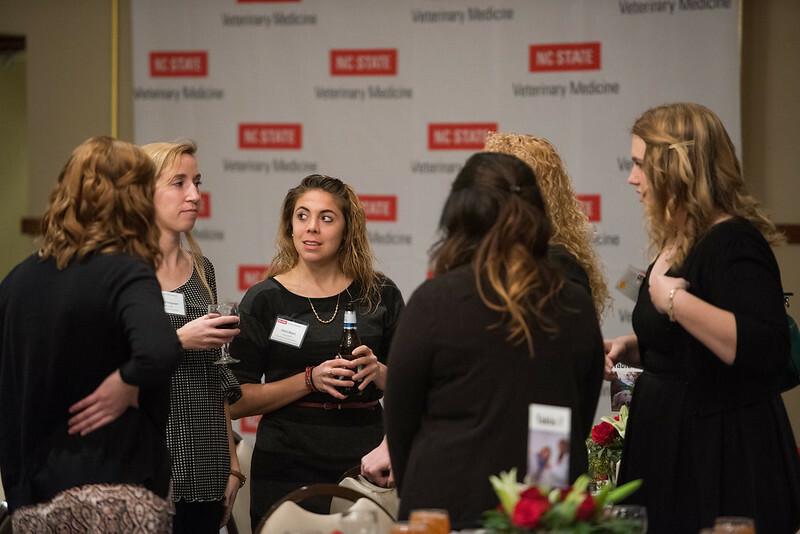 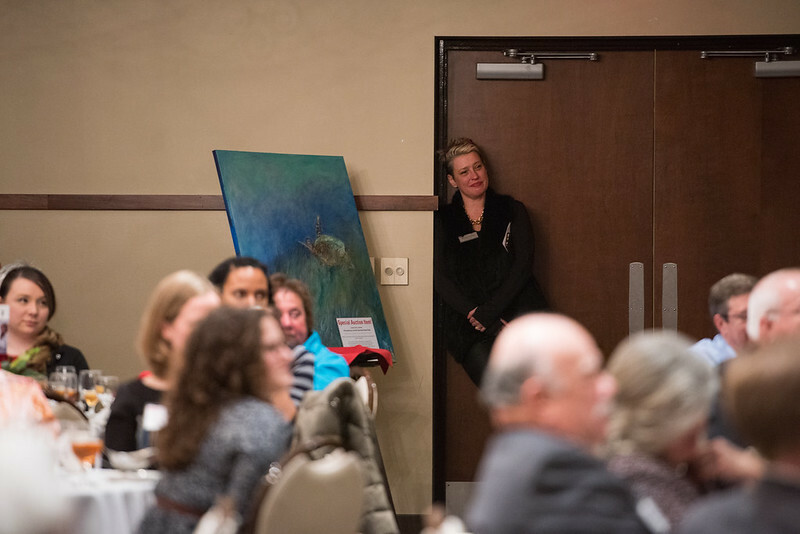 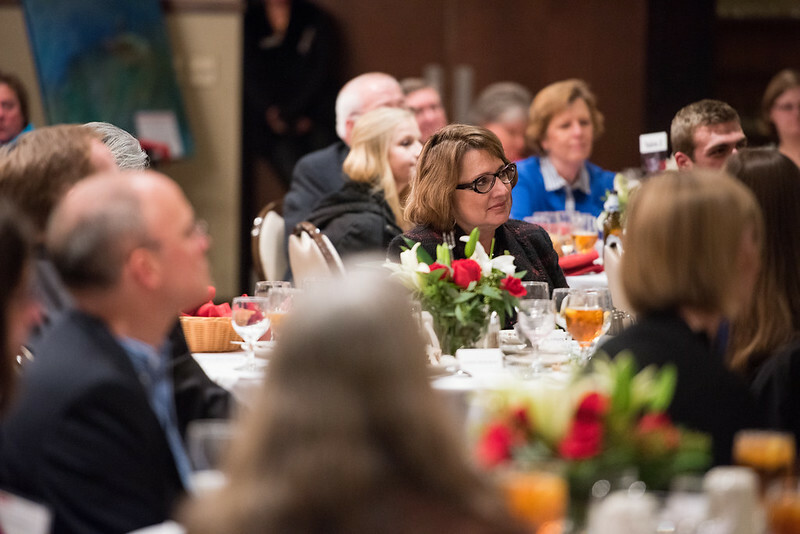 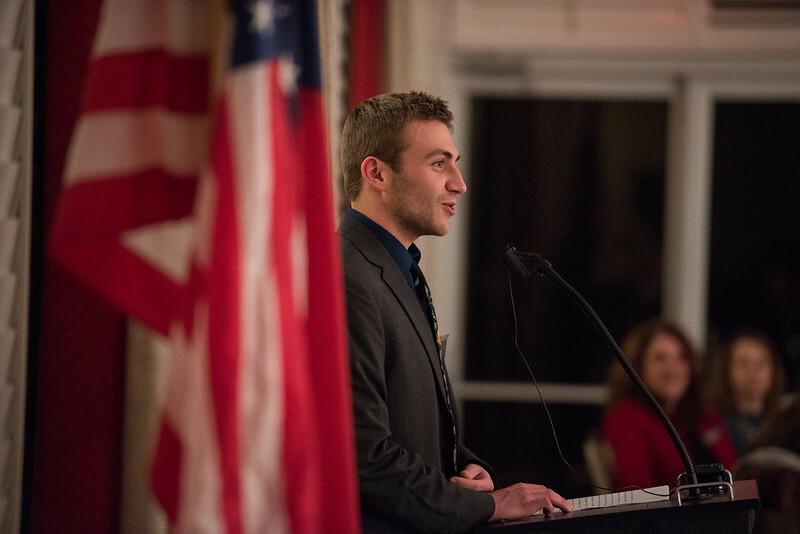 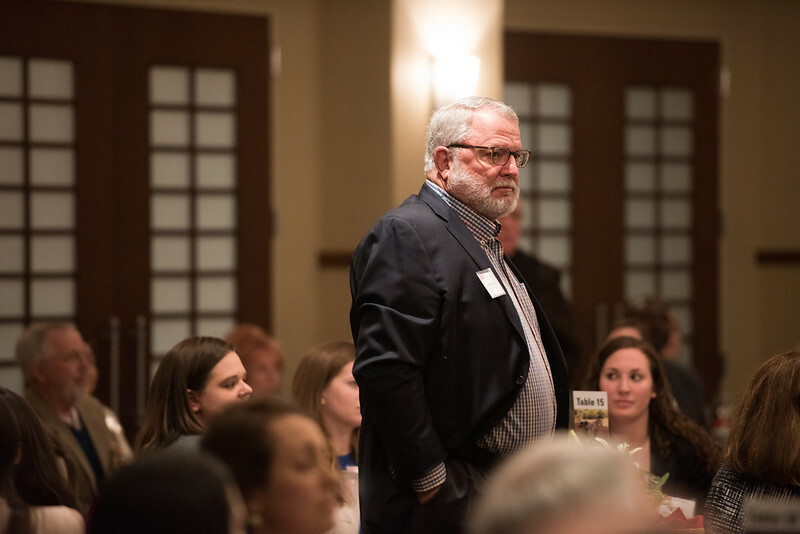 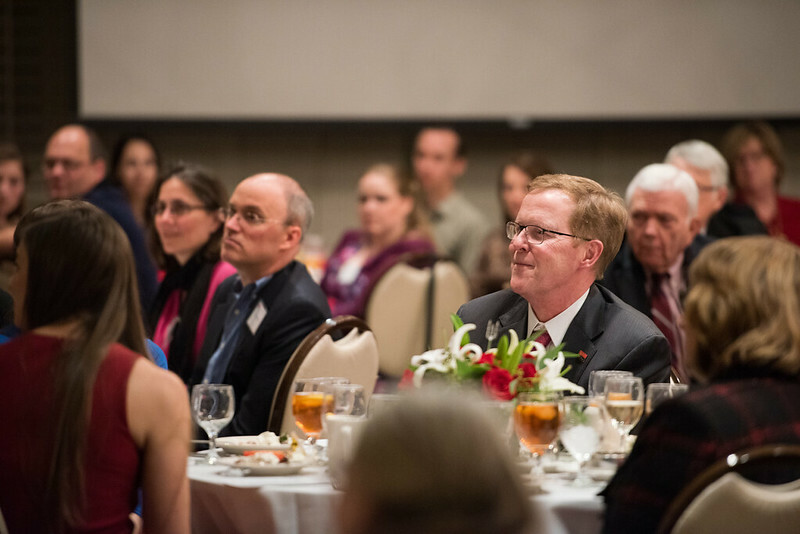 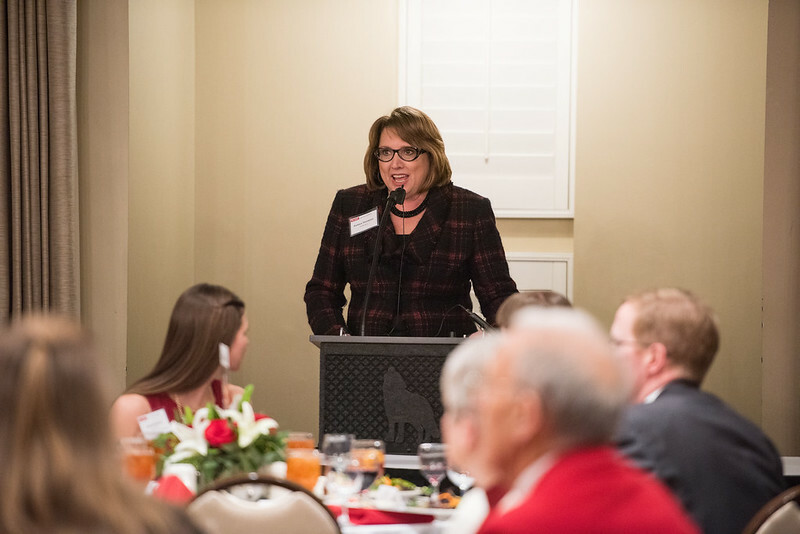 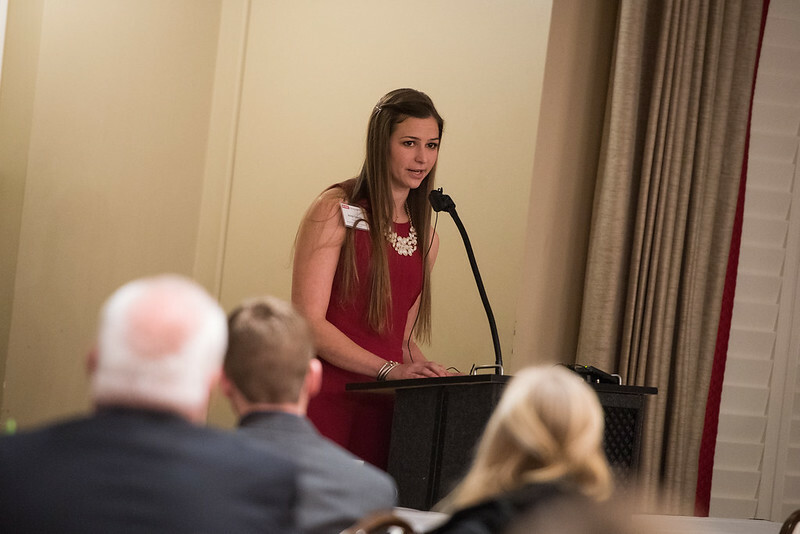 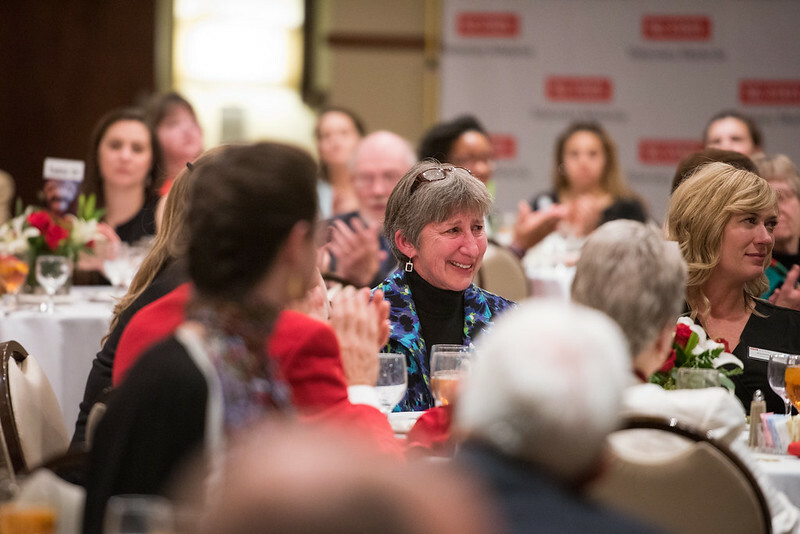 Amidst serious concerns about student debt, scholarships continue to be a funding priority at the CVM and the event celebrated those who have chosen to support this critical need.